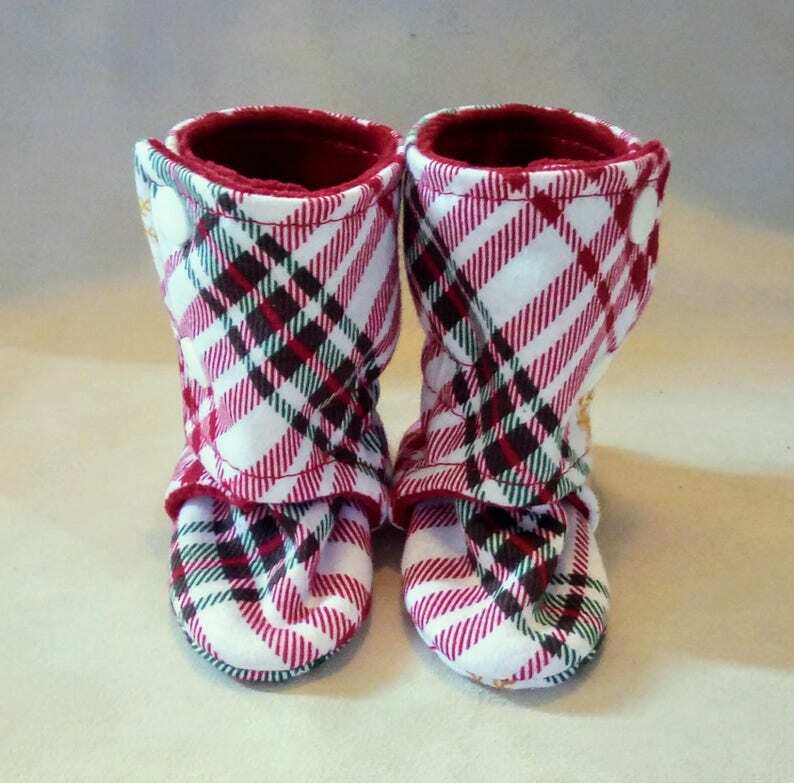 Our shoes have been a favorite of our customers for over 10 years! 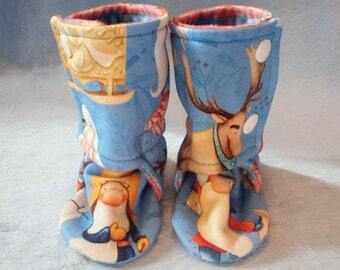 We've offered our original design boots before, but it's been a while. 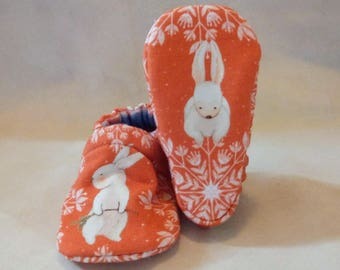 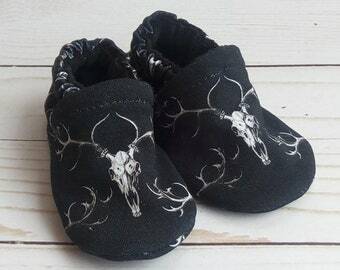 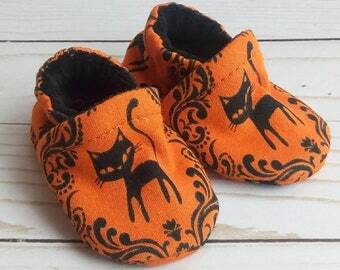 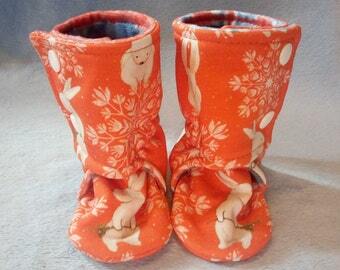 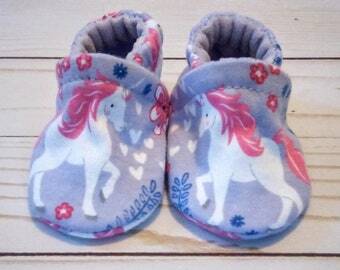 These custom printed fabrics were just perfect for this season's baby boots. 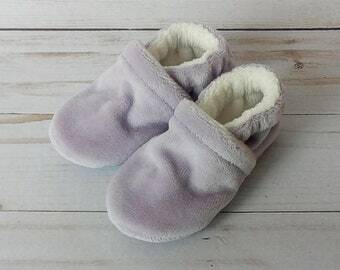 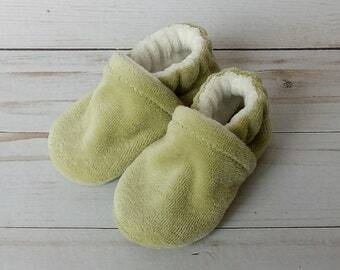 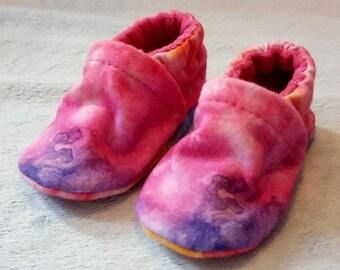 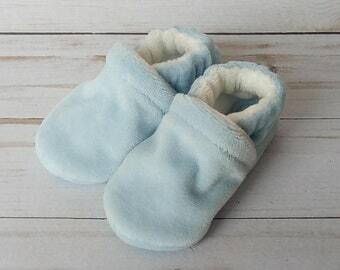 We use only the softest materials because those tiny feet are so sensitive. 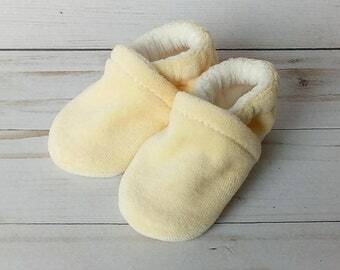 An often mentioned favorite feature for our customers is the gentle elastic ankle that keeps these shoes from being kicked off -- no more lost socks or shoes, and tiny toes are guaranteed to be kept warm. 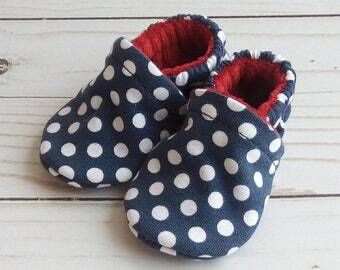 Soft soled shoes allow our little ones' feet to grow and develop as nature intended. 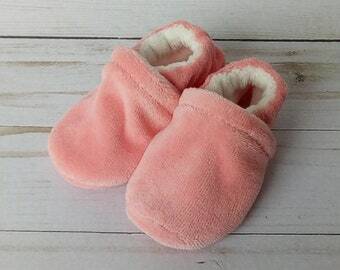 These make a great gift for any occasion, and honestly, who needs an excuse to buy cute shoes? ~Christmas Plaid knit outer with red cotton velour lining. 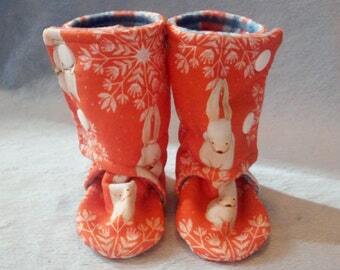 -Two white resin snaps close the upper wrap portion of the boot.